SenSiC AB develops, produces and sells gas sensors for high temperature applications with exceptional sensitivity/resolution at very low gas concentrations. 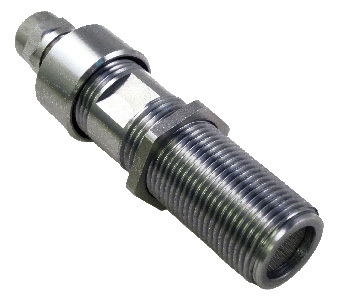 The sensors are used to control combustion in industrial processes, woody biomass heaters/boilers, district heating plants, diesel engines, and exhaust after-treatment systems. Improvement in combustion efficiency and emission reduction results from the sensors ability to measure oxygen (O2), carbon monoxide (CO) and ammonia (NH3). The sensor Control Unit offers remote control and supervision, as well as automated calibration. Our vision is to contribute to a cleaner environment. 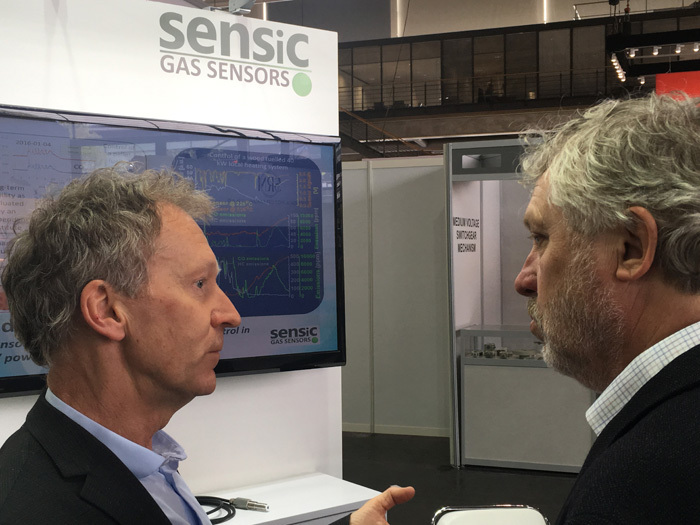 Sensic´s CEO Olle Westblom is discussing the company’s vision and products with Sweden’s Minister for Housing and Digital Development, Mr. Peter Eriksson at the Hannover Messe 2018. SenSiC AB was founded in 2007 as a spin-out from Linköping University (LiU). SenSic AB is located in Kista and Linköping. Ever since the start, SenSiC AB has always had a strong connection to Linköping University in research.